FRASER, GRAHAM, industrialist; b. 12 Aug. 1846 in New Glasgow, N.S., eldest of the seven children of Thomas “Foreman” Fraser and Isabella MacKay; brother of Simon A. *; m. 17 May 1866 Charlotte Dicks in Providence, R.I., and they had three sons and three daughters; d. 25 Dec. 1915 in New Glasgow. Graham Fraser’s great-great-grandfather was a pioneer in Pictou County, N.S., an area that was to become “thoroughly Scottish and Presbyterian in character.” His father was well known as the supervisor of construction in the local shipyard of James Carmichael*. Like his father, Fraser ended his formal education early. At 16 he went to work in the Providence shop of the Rhode Island Locomotive Works. He later moved to Boston, where he gained experience in galvanizing and treating iron. In 1867 he returned to New Glasgow to take a job ironing ships in the Carmichael yard. Soon after he began to hire his own workers and ironed ships on contract. In 1872 he formed a partnership with George Forrest McKay, a local blacksmith, and established the Hope Iron Works. With wooden shipbuilding in decline, in addition to marine ironwork Fraser and McKay manufactured car axles and track spikes for the new inland railway system. Two years later Fraser and McKay renamed their firm the Nova Scotia Forge Company and, along with a third partner, added $15,000 of new capital. Each partner agreed to take no more than $500 out of the business in any year, thus guaranteeing a high rate of reinvestment if the business became profitable. By this time they had 20 workers, a number that would double over the next four years thanks to the firm’s increasing volume of business. In 1878 they moved the forge two miles north of New Glasgow, to a site on the East River of Pictou which would become the community of Trenton, in order to gain ready access to water for the plant boilers. Scotia soon began to supply steel bars and angles to central Canadian manufacturers of agricultural implements, including the Massey Manufacturing Company of Toronto [see Hart Almerrin Massey*] and A. Harris, Son and Company of Brantford, Ont. [see John Harris*]. Despite high tariffs on both sides of the border, Scotia also won customers in the American Midwest. This success was due to three factors: Fraser’s insistence on quality during the manufacturing process; his ability to find the least expensive materials; and his painstaking efforts to satisfy his customers through his chief salesman, Thomas Cantley*. By at least 1886, Scotia’s steel products, such as rakes, spring teeth for harrows, and plough components, were winning gold medals and critical acclaim in public exhibits. Not all was well, however. Fraser disliked sharing managerial control with his fellow director-shareholders, most of whom had little experience with the steel industry. In particular, he quarrelled with James Drummond McGregor, a New Glasgow merchant and president of Scotia, over whether the company should purchase large quantities of pig-iron and scrap steel in anticipation of upswings in market price or should extend long-term credit to its major customers. Fraser wanted to do both, whereas McGregor feared the financial risk involved. Overruled by his president, Fraser lashed out by depicting him to his closest associates as a “dead Jack in the box,” a “small man,” and a “dead letter president” and openly yearned for the day when he could do without his capital. Unfortunately for Fraser, that day would never come. In fact, as Scotia grew its dependence on outside capital increased. Moreover, Fraser’s conflict with his fellow directors over management would intensify. 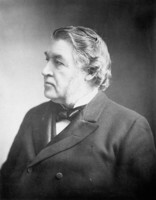 On the merger of Scotia with Fraser and McKay’s forge operation in 1888 as the Nova Scotia Steel and Forge Company Limited, however, Fraser was provided with an opportunity to exert more autonomy, at least temporarily, when he replaced McGregor as president that year. By this time Scotia employed 400 workers and had assets in excess of $400,000. Scotia’s steel was produced from scrap steel such as old railway rails as well as from imported pig-iron. But faced with unpredictable fluctuations in the prices of pig-iron and scrap, Fraser wanted Scotia to have control over its own supply of pig-iron. When iron ore was discovered near coal deposits in Pictou County, he resolved to purchase the properties and transform Scotia into a completely integrated operation. Certain shareholders such as McGregor opposed the plan, seeing no reason why profits should be gambled on a new venture. Fraser and some of the more enterprising shareholders were forced to set up a new company, the New Glasgow Iron, Coal and Railway Company, in order to purchase the iron-ore, coal, and limestone deposits, to construct a blast-furnace at nearby Ferrona, and to build a railway connecting the mines with the blast-furnace. In 1891 the company was capitalized at $1 million, with half that earmarked for the new pig-iron plant, which included blast-furnaces, coking ovens, and the first coal-washing plant in North America. Fraser obtained the latest technology from Germany, which he had recently visited to observe experiments being conducted on his coal samples. 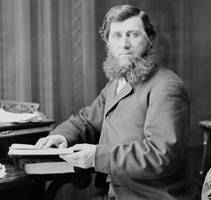 J. F. Stairs, the company’s chief financier, was made president when New Glasgow Iron was incorporated. Fraser was installed as vice-president, and as general manager he was responsible for building and running the company. Though only trained as a blacksmith, Fraser put New Glasgow Iron at the technological forefront of iron-making in North America by his willingness to learn from the best practices in other countries and his ability in adapting these practices to local conditions. New Glasgow Iron was so successful that by the time it merged with Scotia in 1895 to form the Nova Scotia Steel Company Limited its assets were of equal value. With the consolidation Fraser had achieved his dream of building an integrated primary and secondary steel company. Although the quantity of Pictou County iron ore had soon proved smaller than expected, he had acted quickly to secure a permanent supply from Bell Island, Nfld. On the eve of Wilfrid Laurier’s election victory in 1896, Scotia was one of the largest industrial enterprises in the dominion, with 1,400 employees and assets of almost $3 million. The company’s properties included the Trenton steel and forge plants, the Ferrona ironworks, including the coal-washing plant and a railway, ore mines and limestone quarries at East River, coalmines at Marsh, and the Bell Island iron-ore deposits. The company had grown too large for Fraser’s personal style of management, however. Its financial needs were so great and the methods of security financing so far beyond his experience and abilities that he felt dependent on Stairs’s advice. In 1897 Fraser personally arranged to have Stairs appointed president while he took Stairs’s post of vice-president. Though freed from the responsibilities of the presidency, Fraser continued to manage the plants and mines, and he soon found himself trying to solve the problems raised by the company’s increasingly dispersed operations. Realizing that Cape Breton coal made much higher quality coke for blast-furnace use than Pictou County coal, Fraser began to negotiate the acquisition of the General Mining Association’s properties near Sydney. After their purchase in 1900, Scotia had two choices: to invest in transporting Newfoundland iron ore and Cape Breton coal to Pictou County, or to invest in a new primary steel plant that would be as close as possible to its raw materials. Since Fraser decided on the latter course, the history of Scotia after the turn of the century became one of raising enormous amounts of external money, an operation in which Stairs and his executive assistant, William Maxwell Aitken*, played central roles. Stairs decided to reinforce investor confidence in Scotia through a policy of regular dividend payments, even if this course meant raising more capital than strictly required for the new plant and equipment at Sydney Mines. He reorganized the company’s finances, and in 1901 the Nova Scotia Steel and Coal Company Limited was incorporated with an issued capital of $5.6 million, part of which was bonus common stock used to pay promoters, underwriters, and brokers for pushing Scotia’s bonds and preference shares. Not fully understanding this form of high-risk finance, in which underwriting and brokerage fees were paid mainly in stock rather than in cash commissions, Fraser objected to Stairs’s methods. Still thinking in terms of a simple partnership form of enterprise, he wanted the shareholders to forgo dividends for an indefinite period and use the money thus generated to pay for the construction in Cape Breton. When he realized that a majority of the directors and a number of officers supported Stairs, he resigned on 5 Nov. 1903. Many directors and shareholders were startled by his resignation, but they were shocked to discover less than two months later that Fraser had accepted a two-year contract to manage the works of the Dominion Iron and Steel Company Limited, Scotia’s main local competitor. He put his considerable steel-making skills into improving the performance of this young company. Fraser succeeded in having the department heads work more closely together, and he refined and updated the steel-making equipment. Under his direction, too, a new coal-washing plant and billet, rod, and rail mills came on stream. These improvements reduced the cost of production, and by the end of his contract the company was finally running in the black. 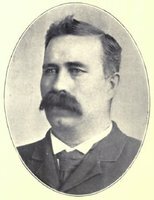 After retiring from Dominion Iron and Steel at the end of 1905 Fraser moved back to New Glasgow, where he became mayor five years later. He spent most of his time quietly at home, designing and building sailboats and powerboats, although he occasionally travelled with his wife during the winter. He died on Christmas Day 1915. His accomplishments were still recognized half a century later when the premier of Nova Scotia, Robert Lorne Stanfield, unveiled a cairn in Trenton honouring Fraser and McKay as the pioneers of the Canadian steel industry. PANS, MG 1, 168; 1309; 2155; 3225, no.3; MG 100, 201, no.2. J. M. Cameron, Industrial history of the New Glasgow district ([New Glasgow, N.S., 1960]); “The Scotia steelmasters,” Nova Scotia Hist. Soc., Coll. (Halifax), 40 (1980): 31–56. K. E. Inwood, “Local control, resources and the Nova Scotia Steel and Coal Company,” CHA, Hist. papers, 1986: 254–82. L. D. McCann, “The mercantile-industrial transition in the metals towns of Pictou County, 1857–1931,” Acadiensis (Fredericton), 10 (1980–81), no.2: 29–64. L. [D.] McCann and Jill Burnett, “Social mobility and the ironmasters of late nineteenth century New Glasgow,” People and place: studies of small town life in the Maritimes, ed. L. [D.] McCann (Fredericton and Sackville, N.B., 1987), 59–77. Nova Scotia Steel Company, Reports of directors and financial statements, 1883–1910 (n.p., n.d.; copy in PANS, Library). Gregory P. Marchildon, “FRASER, GRAHAM,” in Dictionary of Canadian Biography, vol. 14, University of Toronto/Université Laval, 2003–, accessed April 20, 2019, http://www.biographi.ca/en/bio/fraser_graham_14E.html.